Oil and animal fat resitant matting for food preparation areas. 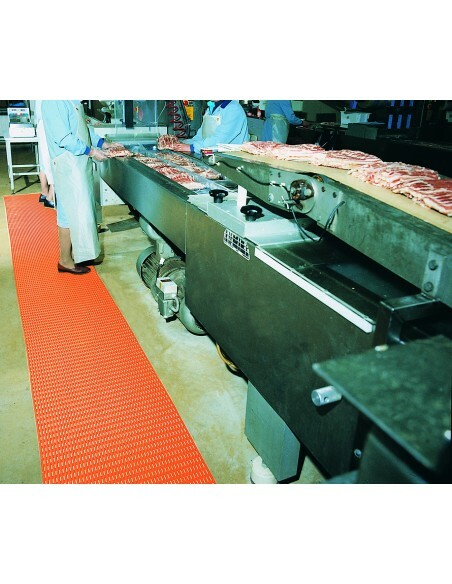 Developed for food processing and preparation areas, Herongripa is resistant to animal fats and oils. 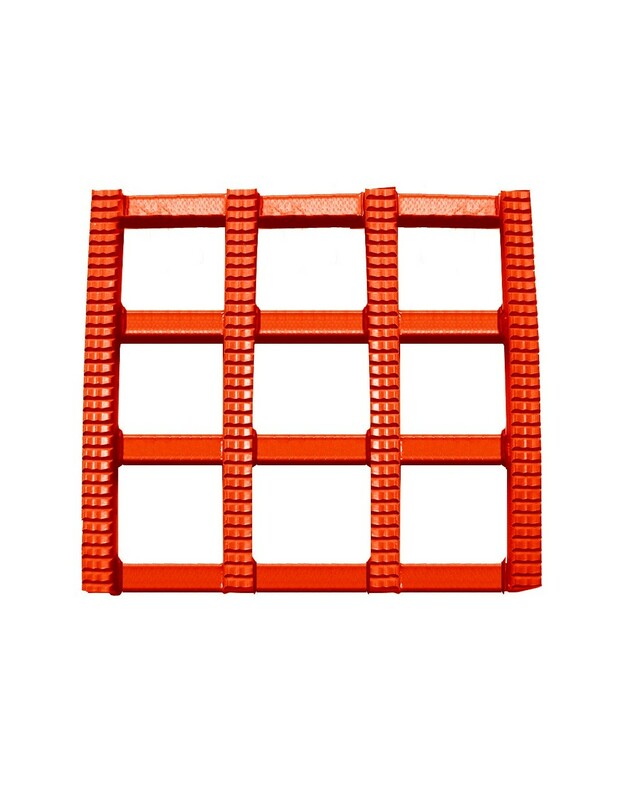 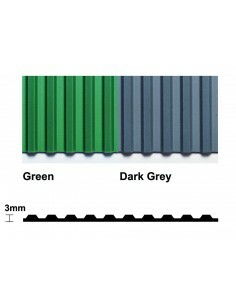 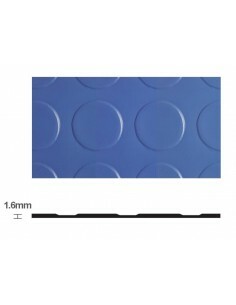 Made from hardwearing vinyl with wide spaced open grid two-layer construction to allow larger pieces of waste to fall through and allow effective drainage of spillages. 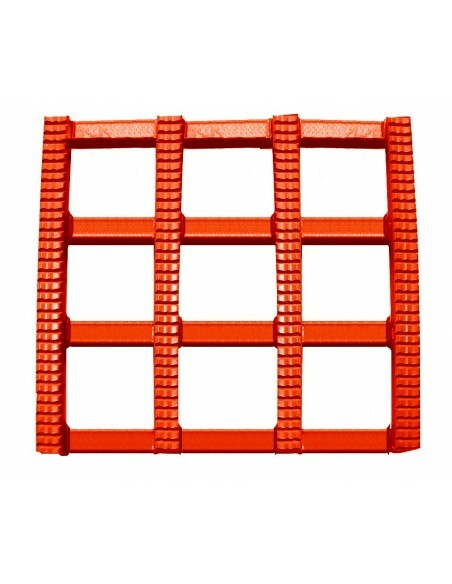 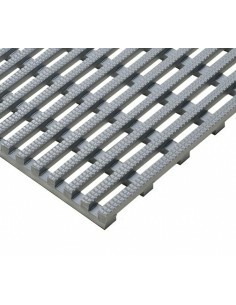 The grooved surfaces of the grids gives excellent traction in wet and greasy conditions. 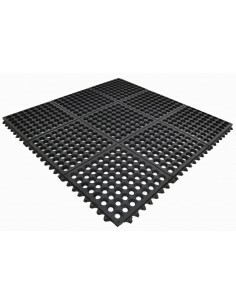 Hi, I'm looking for a product like this to lay on a large exterior decked area of a school to make it non slip. We would probably need about 200sqm, but this is a bit pricey. 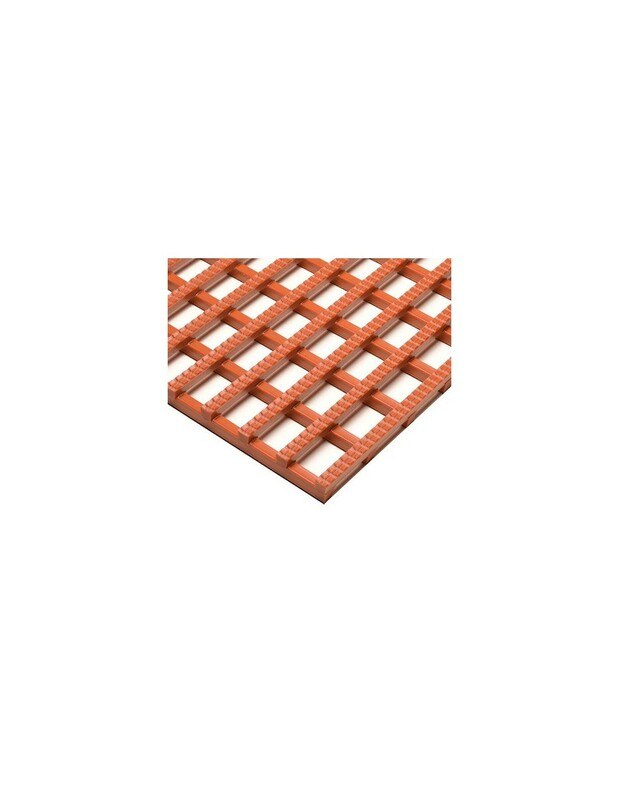 Do you do a similar mesh but cheaper? 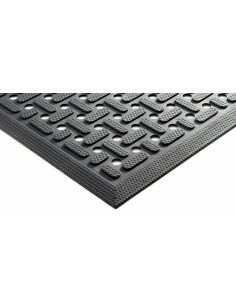 The price tag on this matting is due to the animal fat resistant additives, so you would be better off going with a general purpose product. 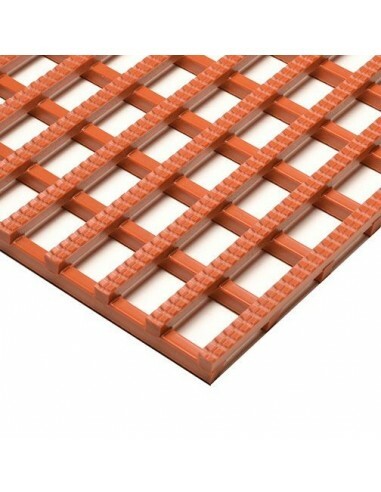 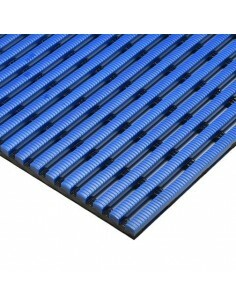 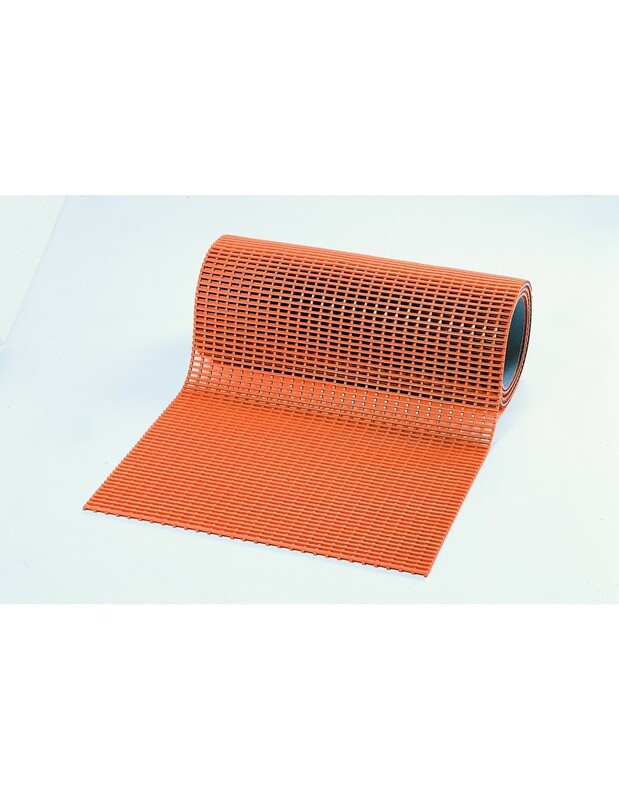 The Heronair matting is a similar mesh but with a tighter grid, and considerably cheaper. 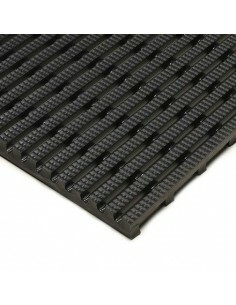 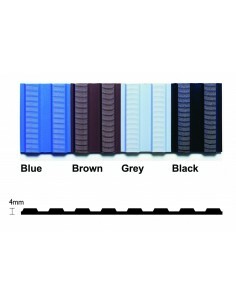 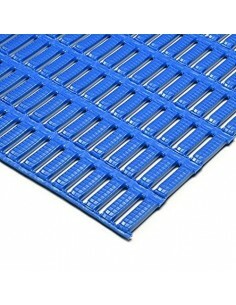 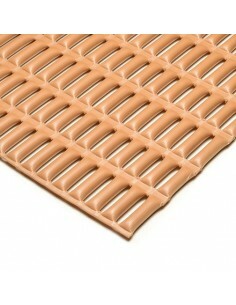 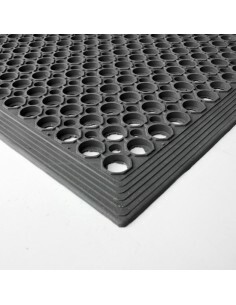 Otherwise, we have some rubber ring matting in either 16mm or 23mm, which can be found in the Rubber Matting category.